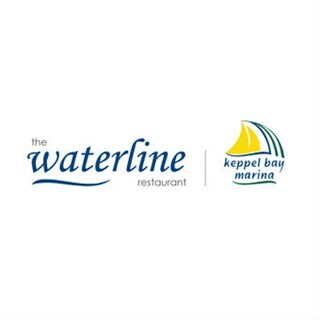 Located on the deck at Keppel Bay Marina, The Waterline Restaurant offers the best local Beef and Seafood in an unmatched waterfront location. Recently awarded the Cafe of the Year for Qld & NT at the Restaurant and Catering Awards, a visit to The Waterline is a must for all visitors to the area, and the favourite dining location for locals. Excellent place for a relaxed Sunday lunch. Food is 10/10. Love the free live music on Sunday's! Thank you to the Waterline team for looking after us beautifully for my birthday lunch. Food was outstanding and the atmosphere is so relaxed with the stunning marina views - perfect! We love coming back to the Waterline every time. Just the best place on the coast! Couldn’t fault the food, the service or the ambiance. Lovely night all round. Thank you for a great 39th anniversary dinner. We frequent the waterline quite often. We were actually there yesterday and really enjoyed it. Today however, we were really disappointed in the service, or lack there of. The staff were wonderful and very accommodating. We had a special family birthday and had a party of 20 guests. The event was organised at fairly short notice and I feel the team really bent over backwards to make sure the day ran smoothly. The entire dining experience was beyond our expectations and value for money. Lovely food with great service. Better than our first dinner experience there. We will be back. Everyone was lovely and very helpful. Our only minor negative feedback would be that it took a while for platters to come out after everyone had arrived. It wasn't a major issue though. It was lovely to have someone come out to the tables to order drinks. We had a large group for an 80th birthday breakfast celebration and had been asked to pre-order. It was a relatively busy Sunday morning and most of the meals arrived quickly. Unfortunately four of our group (who had only ordered bacon and eggs) had to wait a considerable time with no-one checking in to see if everything was ok - instead we had to seek out a staff member to make them aware we still had meals missing. One other issue - wait staff should not put their hands on the rim of the coffee cup when its being placed on the table. On balance, the food and the service were good. Great location on the lawns overlooking the marina. Another excellent lunch at the Waterline. The steak sandwich was the best we have ever had. We just wondered why there were not any chicken dishes on the menu. Until next time thank you. A very disappointing night but we appreciate that the staff tried to rectify the situation. Waited 1.5 hours for our dinner - the kids meals came out AFTER this. So the poor kids waited nearly 2 hours for their chicken nuggets. Many of us ordered the steak with prawns, however the meals were very inconsistent i.e everyone’s steak came with 3 potato wedges, but my dad’s meal didn’t get any. I ordered my steak “well done” and it was completely red in the middle - I told a staff member and she couldn’t believe it either. Another person ordered theirs medium and it came out very well-done. We told the staff our issues and how disappointed we were and they gave us our drinks for free which was great. I appreciate them making an effort to rectify the situation, but unfortunately we won’t be back in a hurry. It was a pleasure to dine at The Waterline with guests during a famil visit from our Gladstone Visitor Information Centre Volunteers. We are so lucky to have a venue of this quality in our region. Get more service staff. Drinks take too long to be delivered. We really love having Grace as our service person. Her personallity sets off the meal.